Dennis Township, Cape May County, N.J. – Today, detectives from the New Jersey State Police Major Crime Unit, Woodbine Station, and the Cape May County Prosecutors Office charged a man currently incarcerated at East Jersey State Prison with the 1985 cold case murder of Carl Robinson. 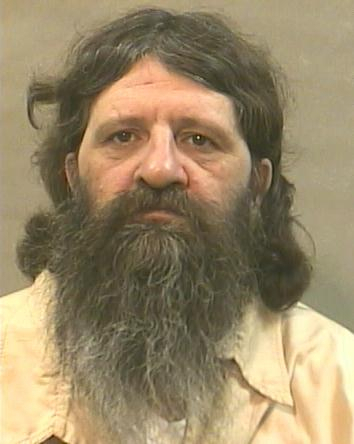 William Tozer, 53, was served with the murder warrant during an unrelated court appearance at the Cape May Superior Court on Monday afternoon. The murder warrant stems from an investigation that commenced on December 9, 1985, when detectives from the New Jersey State Police Port Norris Station, Arson Investigation Unit, and Crime Scene Investigation Unit, responded to 831 Dennisville Road, in Dennis Township for the report of a body discovered in a burned residence. That body was later determined to be Carl Robinson, 57 years old. The residence had been completely gutted by a fire, which was subsequently determined to be arson. The medical examiner was unable to determine a cause of death during the autopsy. During the investigation, detectives learned that William Tozer had served a 2 ½ year prison sentence at Bordentown State Prison for assaulting and robbing Robinson. The murder is believed to have occurred because Robinson provided testimony in a unrelated incident that resulted in Tozer’s incarceration. Over the next several years, detectives followed up on investigative leads and interviewed several individuals, but did not have enough evidence at the time to charge Tozer. In 2012, the State Police Major Crime Unit and Cape May County Prosecutors Office reviewed the case. Detectives re-interviewed persons of interest and met with the Southern Regional Medical Examiner. The original autopsy of Robinson was reviewed and the manner of death was amended to homicide, and that Robinson was beaten prior to the fire being set. As investigators reviewed the case, Tozer was determined to be the prime suspect and person responsible for the death of Robinson. Today, during court proceedings regarding an unrelated matter, William Tozer was charged with the murder of Carl Robinson. Tozer is currently serving a 99 year sentence for an unrelated murder.